There’s still time! During the rest of the month of March for every order placed on the Annie Selke website https://annieselke.com this most generous retailer will donate $5 to the Power of Flowers Project, up to a total of $25,000. You don’t have to be a POFP volunteer to participate. Anyone who places an order that is shipped during the month of March will generate a contribution for the POFP. So, tell your friends, family, co-workers, cable guy, mailman, dog walker… It’s all good. Annie Selke has everything for your home such as rugs, bedding, furniture, wall décor, wallpaper, as well as gifts, accessories, sleepwear, jewelry. The website is also chock full of tips, ideas, and decorating inspiration. 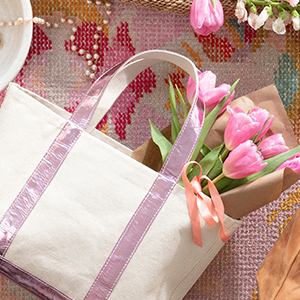 It’s fun; it’s bursting with ideas for spring; take a look. Psst. There’s a coupon on the website for 15% off your first order. AND there’s free shipping for orders over $50. So invite friends to join in some retail therapy. Enjoy. You’ll help a worthwhile cause, your feet won’t hurt, and you can still go out to lunch afterwards.